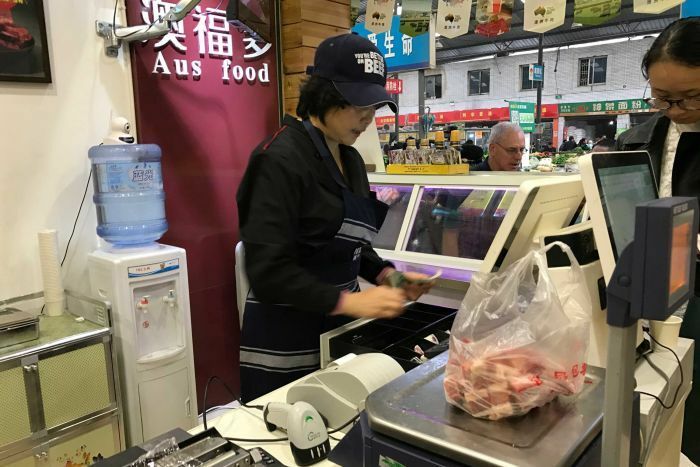 A young Chinese businessman who lived in Brisbane for three years is behind a string of Australian-style butcher shops popping up in Chengdu, China’s fifth-largest city. “I did eat a lot of beef when I was at uni in Queensland!” Ming Yang said. Three years ago Mr Yang started Sichuan Yutai after securing exclusive rights to sell Coles branded beef in Chengdu. He named the small butcher shops AFD, which stands for “more Australia happiness”. From 25 tonnes a month, three years ago, Sichuan Yutai now imports 100 tonnes a month to supply its four shops and a large wholesaler. Mr Yang said 16 more shops would be opened in Chengdu by the end of 2018. “It’s very exciting and very important,” Coles meat general manager Alex Freudmann said. “We are committed to that whole animal model and that means we look to recover as much as we can from every inch of that animal, and there’s quite a large proportion you can’t market domestically because the demand for those cuts does not exist. 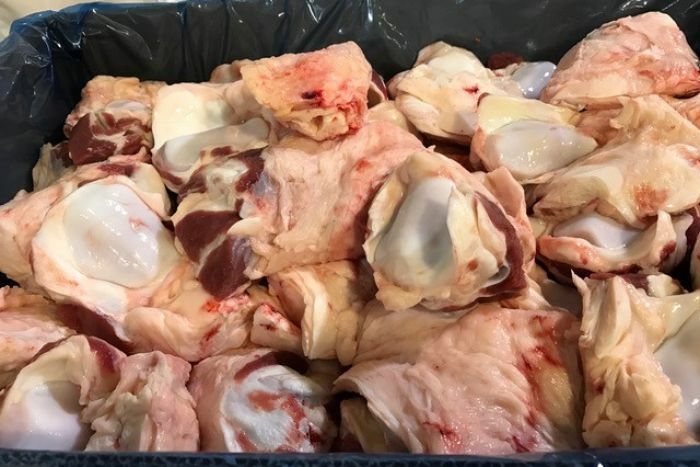 While there is not much of a market for items such as patellas (kneecaps) and paddy-whack (the tendon which keeps a cow’s head up) in Australia, the cuts are used in Chinese slow cooking. The China deal was brokered by David Foote, the managing director of Australian Country Choice (ACC), one of Australia’s largest privately owned beef businesses. ACC runs 250,000 head of cattle across 2.4 million hectares in Queensland as well as three feedlots and an abattoir. Mr Foote and Mr Yang met in Chengdu in 2014 during Australia week. “Mr Yang was there to pick me up from a dairy factory to take me back to the hotel, he loved beef and he asked me could I help him learn about and become part of the beef [industry],” he said. Despite being a wine importer with no experience in beef retailing Mr Foote was surprised by Mr Yang’s Aussie butcher shop pitch. “I just loved the concept,” Mr Foote said. “It was a great idea because it’s all about presenting beef where the customers go which is the local markets. Mr Yang said business was continuing to grow. “One hundred to 150 people come to each shop every day and more than 80 per cent buy the product and the feedback’s really good,” he said. A series of shocking food safety scandals in China has left consumers mistrustful of locally grown and manufactured food. Those who can afford to prefer imported food from countries like Australia with a clean, green reputation and strong food safety standards. At the busy Wan Nian market Mr Yang’s competition looked very different. Cuts hung unchilled in the open, one man wielding a cleaver had a cigarette in the corner of his mouth, and a dog at his feet and few staff wore gloves. Sechuan Yutai’s butcher shops all have chilled meat cabinets and staff are gloved and hatted. “When customers come to our shop they do ask questions like ‘is this smuggled?’ So they do care a lot about the certificate from the Chinese consulate,” Mr Yang said. On the walls were framed official documents to prove the beef is Australian. “Their stores are clean, they’re dependable, customers can get product which is consistent week to week,” Mr Freudmann said. Mr Foote said the success of the partnership was a lesson to Australians keen to export to China about not forgetting second tier or smaller cities. “I thought Chengdu didn’t count it didn’t matter but that was before I worked out there was over 10 million people here,” he said.